Curious, I looked up Tiger Woods’ Facebook “account” (read: fan page). It’s a fairly active and well maintained (not by him, obvs.) presence, with 1.2 million fans. Like many fan pages, it pulls in content from external sources. And in this case, the above quote actually came from one of those sources — the “Dear Tiger” fanmail section of Tiger Woods.com. Thus, the AP story misrepresents the source of that quote — which has been widely published and republished in print and on the web by AP subscribers. This is not a grievous offense, but it does speak to the pervasive problem of social media illiteracy in the mainstream media. One of the first things you learn — in high school, much less j-school — is the difference between a primary source and a secondary source. In this case, with the fanmail page including first-person responses from Woods, I believe that can be considered a primary source. In this article, the author, AP sportswriter Fred Goodall, failed to make that distinction by attributing the content as belonging to Facebook. There is a semantic difference between “posting” and “sharing.” If you describe something as a “posting on his Facebook account,” you are — according to the lexicon of the medium — attributing primary source characteristics to the content on Facebook, when in fact all Facebook is serving as is a conduit for sharing the content. For all intents and purposes, it might as well be a wall in a common area where a printout has been tacked up. In a research paper or newspaper article, would you cite the wall? Why is it hard for someone like Goodall to do this basic assessment of his sources? Is it because it’s “cooler” to cite Facebook postings in your story? If so, you’re not only misleading your readers, but your misrepresenting Tiger Woods as someone who posts personal updates to a Facebook account, much like you or I (or Chad Ochocinco) might. Woods’ Facebook presence is an online outpost of his athletic industry, not a personal mouthpiece, like Ochocinco’s Twitter account. And that’s fine. But in reporting, the distinction is increasingly important, especially if we’re going to start throwing attributions and citations around. In a way, it’s hard to blame Goodall. He’s a sportswriter, not David Pogue. Should I expect him to know the different between a webpage and the posting of a link to that webpage on Facebook? Between a tweet piped in from Twitterfeed and someone’s own words? The answer, actually, is yes. After all, I would expect him to know the difference between talking to the police spokesperson and talking to some guy who spoke to the police spokesperson. It’s a little different here — you can make the reasonable assumption that the same entity that maintains Tiger Woods’ website manages his Facebook profile. But I’m reaching that assumption with some level of savviness — the same savviness that led me to ascertain that Tiger Woods’ Facebook fan page was an official presence. Does Goodall have that savvy? Do his editors? This is about understanding the context of information, and with new media, that context is changing. There are certainly instances when the sourcing is a little muddier, since imprints like Twitter’s verified accounts are not yet the standard (and there does not yet exist such confirmation for Facebook fan pages). We may not realize it, but in this space, we are relying a lot on savvy to help us assess the content we’re viewing. Savvy is great, but it doesn’t have its own AP stylebook. In this new world of blended media, retweeting and link sharing, reporters should be able to do a basic parsing of content to determine its origin. There are many celebrities and organizations who do use Facebook and Twitter as direct mouthpieces to the public, breaking news and posting exclusive information via those channels. As those outlets continue to proliferate, and thus merit reporting by mainstream media, an understanding of the differences — between Facebook fan pages and profiles, managed presences and personal ones, and all of the many ways personalities and brands may use social media platforms — will be critical. Even for Fred Goodall. I was talking to a friend today about all the things we want to do and the people we want to be, but we don’t and we aren’t. It always amazes me how difficult it is to do the things that you truly want to do. We put so many obstacles between ourselves and the things we want. But a routine, however distasteful, is comfortable, easier and “better” than change. Change is hard. Change is also scary. The fear of failure — whatever definition of it we have imprinted in our brains — is a powerful counter to our great desire for change. The result is paralysis. Doing anything in life takes discipline. When it comes to upending the status quo, you might as well be talking about shifting tectonic plates with your pinky finger. The thing that’s easy to forget, though, is that we’ve all done this before. We’ve all accomplished things that, at one point, we believed were impossible, whether it’s a marathon or a New York Times crossword. We’ve all overcome those moments of conviction in our own limitations, leaving accomplishments in their place. If we could only bottle that understanding and recall it when our doubt returns. Planning for “someday” is ineffective. You have to decide what your revolution looks like on the day-to-day scale. Have a vision and keep it far out in front of you, but give yourself daily tasks that will accomplish it. 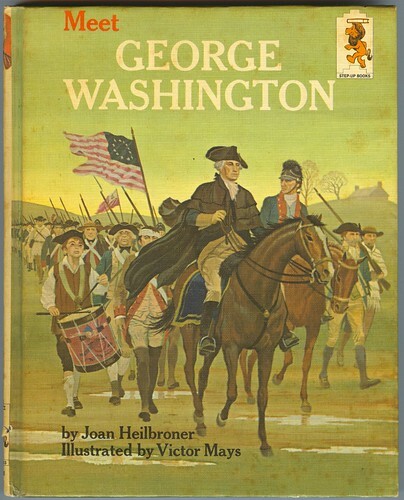 … The American Revolution had several events that brought everything forward. It didn’t just start with the “shot heard round the world” and then we all sat down and wrote the Constitution. The same is true of your own tiny revolutions. … The KEY difference between your revolution and letting life live you is that YOU start making these events happen, instead of just letting them happen to you. I was saying earlier today that to make major changes in your life, it takes a giant, bold action. That’s not really accurate. To the outside observer, the difference between today and six months ago may look dramatic. But packed into those 180 days were 180 small but significant changes that all added up. This seems simple, but it’s really important. Success is about 90% planning. Fulfilling your innermost desires to be the person you want to be has little to do with wanting, and almost everything to do with doing. How do you “do” to the level required to effect real change? How do you self-sustain? You plan. You start an incremental revolution. You set up a schedule and a to-do list of manageable tasks that build toward the ultimate goal. Thinking about all of this stuff is all-too familiar territory. Last month, I posted about overcoming the fear of failure by remaining childlike (adaptable and curious) and accepting the need to make mistakes in order to learn. Back in August, I wrote about the need to own your own life and not just be a self-starter, but a self-sustainer. I could write on and on, that doesn’t mean I know what I’m doing. This is all an open exercise in trying to understand how to make my life what I want it to be. I guess in a sense, my life starts with a single shot. The space between when it begins and what it becomes is up to me. Tiny revolutions. Never Mind Overjoyed. Just Start With Happy. Mulcahy, via the house band Polaris (“three guys–Jersey, Muggy and Harris”), did most of the original music on the show (a program, incidentally, that was never shy about showing off its musical geekdom, with Iggy Pop, Kate Pierson and Michael Stipe among those logging guest spots over the years). Captivated by his “Pete and Pete” compositions like “Everywhere” and “Waiting for October,” I dug deeper and discovered his primary band, Miracle Legion. For someone like me — an unabashed fan of catchy, jangly pop — Miracle Legion was a gold mine. I dove into whatever of their increasingly scarce back catalog (much of it was out of print) I could get my hands on. When I learned about Mulcahy’s solo work, I snapped that up, as well. Often, when meeting a self-professed musical geek, I would throw Mulcahy’s or Miracle Legion’s name at them, like spaghetti at the wall, seeing if it would stick — a nerd litmus test, of sorts — and I would always be let down if they had no idea who he was. It was about more than liking jangle pop or ranking geek quotient, though. There has always been something to Mulcahy’s songs, whether they were for “Pete and Pete” or one of his own projects, that commands my attention. There’s a warmth to them that appeals to me. Much like “Hey Self Defeater” spoke to me this morning, his songs (many of which, I would be remiss not to add, were co-written by his Miracle Legion collaborator, Mr. Ray) have a way of lodging themselves not only in my brain, like any good catchy pop song can, but in my heart. From the longing strums of “Everywhere” to the sweet nostalgia of “Homer” to the simple delight of “You’re My Blessing,” Mulcahy has a unique talent for conveying those emotions in song. While Mulcahy and Miracle Legion may not be household names, the Connecticut songwriter is not underrated by his musical peers. 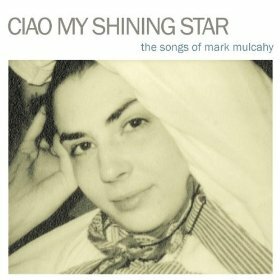 When his wife Melissa died unexpectedly, leaving behind three-year-old twin girls, the music community banded together to support one of their own by submitting covers of Mulcahy’s songs for a compilation called “Ciao My Shining Star.” In addition to a CD with 21 tracks, the digital-only version has 41 — 41! — songs, for just $10 more. I bought both versions, partly because I wanted a physical copy in addition to the jam-packed MP3 version, but also because I wanted to support the cause. The greatest thing about the compilation is that while it is loaded with heavies like Stipe and Thom Yorke and the National, there are also a bunch of lesser luminaries and relative unknowns. Right now, I’m listening to a cover of “4:04” by the Parkway Charlies. It’s good. They’re good. Who the heck are they? No clue. But I’ll find out. I highly recommend this compilation. You don’t have to be a fan of Mulcahy’s to appreciate the songs contained therein, but hopefully listening to them will turn you into one. I also like to think that for someone out there, a band like the Parkway Charlies is to them as Miracle Legion was once to me — a treasure you long to share with others. Thanks to this compilation, hopefully some of these excellent bands will get some much-deserved exposure. True confession: A few weeks ago, I saw a promotional poster for “Ciao My Shining Star” on a lamppost in Boston. I took it and put it on my wall. I know I should have left it alone, but Mark Mulcahy occupies a special place in my heart. Special enough to merit theft. My only regret? Possibly depriving others of the awareness of his work. Consider this blog post my atonement. On Friday, my friend Chris and I saw Mike Doughty live at Regattabar in Cambridge. After many missed opportunities, this was my first time seeing Mr. Doughty live, either solo or as Soul Coughing. He did not disappoint, filling the (somewhat sterile) cabaret with good vibes and amazing music. It helped, of course, that Chris and I were seated in the very front, to Doughty’s left. Many of Mike Doughty’s shows feature the Question Jar, where people can submit questions that Mike will answer throughout the course of a show. My question was what his favorite toy was as a kid (Death Star playset), while Chris asked what was the deal with Miley Cyrus (Mike said he knew, but he could not tell). Two of the questions, though, particularly stuck out in my mind. A wise man, that Mike Doughty. And as a bonus, he even played one of my favorites from his solo work, “Your Misfortune,” quoted in the title of this blog post. All in all, a stellar evening. This past weekend, I went down to New York to visit my brother. I hadn’t seen him since our roadtrip in July, and I wanted to see him at least once before the holidays. It was a really good trip, and not just for some of the peripheral benefits — much needed zone-out time on the bus, a change of scenery and some fun meals. It was a good opportunity to get perspective. I chatted with him about The Project, and just talking over the issues I’m having moving forward helped me sort out a possible plan (or two) of attack. We had a few other conversations that were really, really good to have, some more meaningful than others. For instance, I chatted with him a little bit (though, in retrospect, not enough) about writing process. I sometimes forget that we are both writers, albeit in different forms and styles, and it’s something I should take advantage more often. Especially when, like lately, I’m at a bit of a fork in the road with my writing. It’s in my blood; it’s just a matter of keeping the blood flowing. One of the more interesting moments of the weekend came toward the end of the run we went on Sunday morning. The New York City Marathon heads right down 4th Avenue in Brooklyn, right past where his apartment is. When we set out, the stream of runners had not yet hit 4th Avenue, but as we looped back, we saw that they had arrived. Thousands of marathoners stood between us and my brother’s apartment, hot showers and a trip out to breakfast. I had no idea how we were going to get across the street. But my brother knew exactly what we were going to do: we were going to Frogger our way across. Here’s where the arteries of that shared blood split off: I’m a goody-goody, and he’s a rule-breaker. I saw cops posted on every corner and median in sight (heck, his apartment is around the corner from a substation), and I saw no way of stepping into the thick of the NEW YORK CITY MARATHON without getting collared. But for Andrew, it was no bigs. He stood poised on a cop-free corner, while I stood nearby wringing my hands. Before I knew it, he had burst off the sidewalk, keeping pace with the runners while sidling his way across the southbound lane. Upon hitting the median, he did it again, crossing the stream in the northbound lane while maneuvering toward the opposite curb. Dumbfounded, I had no choice but to follow. I felt much like I did the time we broke into the abandoned Rhode Island School for the Feeble Minded, half-expecting a cop to jump out of the shadows and slap cuffs around my wrists. But, much as I did in that abandoned school, I soon realized there was nothing to fear. I simply minded how I navigated myself through the crowded field of runners, and before I knew it I was across the avenue, standing next to Andrew. And hey, maybe now I can say I’ve run in the New York City Marathon (twice — we had to do this a second time to get to breakfast). If you’re careful, my brother has taught me more than once, you can break a rule or two every now and then and it’s more than worth it — whether the reward is a hot shower, a good meal, or just the reminder that the world is more flexible than you may think.